Poland’s government of the nationalist Law and Justice (PiS) party won a vote of confidence in the lower house of parliament on Wednesday ahead of elections next year in which it hopes to strengthen its support base dented by a corruption scandal. A total of 231 MPs came out in favour of the government with 181 against in a vote that was more a show of strength than a real test and followed a debate dominated by Prime Minister Mateusz Morawiecki. The PiS itself called the vote after a so far fruitless attempt by the opposition to organise a vote of no-confidence. The exercise suited the PiS to come out from under a scandal involving banking regulator KNF that emerged last month, analysts said. PiS deputies welcomed the victory with a standing ovation, chanting “Ma-te-usz”, almost in relief at the outcome. 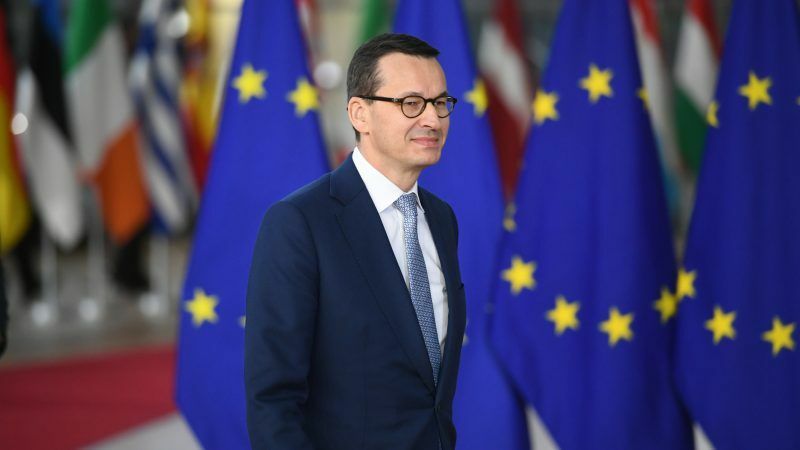 Morawiecki said earlier on Wednesday he wanted a vote of confidence in the government to ensure it had a mandate for its reforms before this week’s summit of European Union leaders. Morawiecki’s eurosceptic party has grown increasingly isolated in the EU because of accusations at home and abroad of a tilt towards authoritarianism. In recent months, it was also rattled by allegations of corruption at the financial regulator and anger amid some voters worried that PiS may try to take Poland out of the EU, a plan the ruling party has denied. The PiS has overhauled the judiciary and taken more control over public media, drawing criticism from the EU and from rights groups who have accused Warsaw of undermining the rule of law. With a year left until national elections, the party has shown signs of rowing back on some of the changes – for example letting Supreme Court judges who had been forced to retire return to work – amid signs its support might be waning. “It’s been three years since PiS came to power … and we have seen a decisive change in how economic and social policy is viewed in Poland,” Morawiecki told lawmakers.